Pokemon is one of the largest video game and anime franchises running today, and with its massive popularity has come an equally massive amount of merchandise. But some releases have fared much better than the others which One such failed Pikachu plush has gone viral due to its misplaced red cheek spots, and its experiencing new life thanks to an adorable makeover from a talented artist. The "rejected" Pikachu plush which it's a much better look than the original. The poor pikachu plush has the right color right dimensions, and right amount of fluffiness for a plush, but the distinct flaw has placed its eyes where its red cheek spots would be and vice versa. dawn toad imagined the Pikachu with red eyebrows, but it's hard not to see something else in the rejected plush. 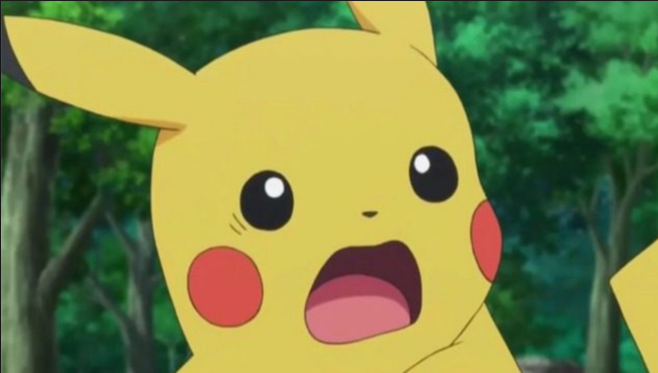 We have pointed out that they don't exactly see red eyebrows placed over adorably positioned eyes, but instead see a Pikachu with glowing red eyes. Once the idea that it has red eyes was introduced, it's hard to shake such a disturbing image. Thankfully, there's a much more adorable Pikachu to focus on instead. It sure would have been funny if this were the main Pikachu design, however. Would the series' mascot be as popular if it looked like this?